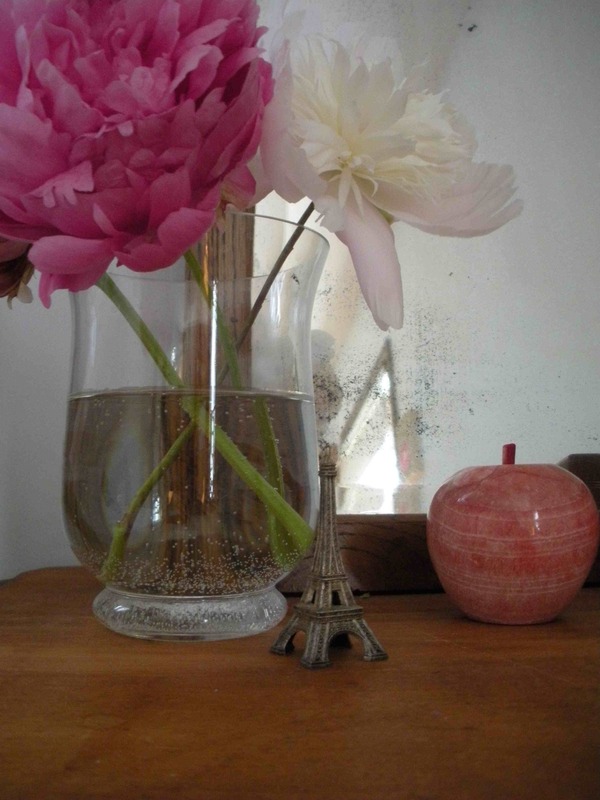 Last year—and, I think, even the year before that—I was out of town when my four large peonies bloomed. The peonies, like the lilacs and crabapple blossoms that come in early spring and the hydrangeas that come last of all and cling to the branches through the snow, are the gift of a previous thoughtful gardener who lived here. Probably not the same one who covered all of the beds with horrid bits of chipped white stone; this gardener—or these gardeners—planned carefully for a circuit of pink, white, and purple that washes across the yard from front to back, never leaving a bare spot for too long. Apparently, when we were young and lived briefly in a rental house during the renovation of the Boulder house, my brother and I sliced open almost all of the heavy buds of that rental house’s peony bushes before they could bloom. I can vaguely remember this poorly received scientific endeavor; peonies are such odd things.